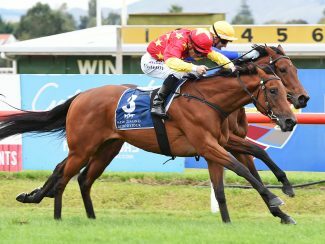 Experienced Cambridge trainer Murray Baker won his first 2000 Guineas in five years at Riccarton today. Madison County’s dominant win gave rider Matthew Cameron renewed confidence in his judgment after he took the wrong option in two previous editions of the race. “I got it right this time,” beamed Cameron, who could have easily ridden the unbeaten The Chosen One. 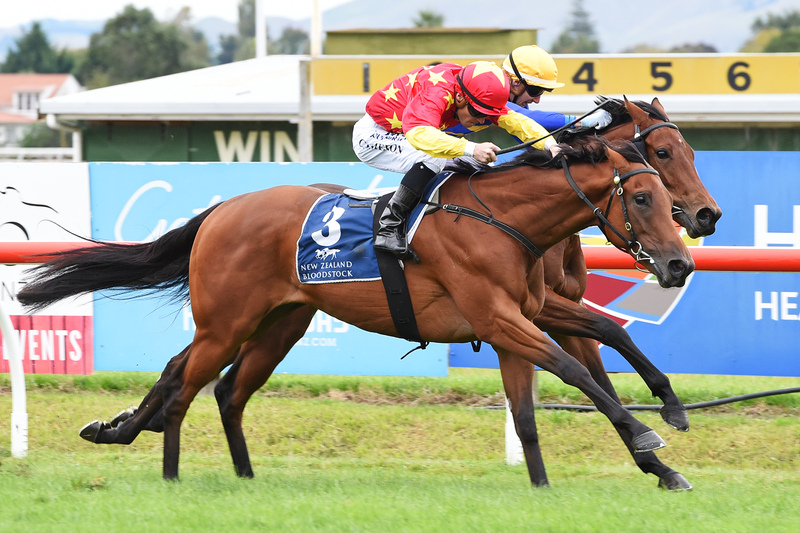 Madison County was set for the race after winning the Hawke’s Bay Guineas in September. After he won at Hastings we labelled him a Guineas horse and decided to target this race,” said Forsman. The Chosen One weakened out and beat just a couple home. He was trapped a little wide but the race perhaps came around too early for him. Frank Ritchie is still with a 2000 Guineas win after Dawn Patrol was a brave runner-up. “It was a beautiful ride. I have no excuses,” said the gracious Ritchie. Sir Nate fought hard for third while In A Twinkling was the best of Te Akau’s trio, finishing fourth when looking likely 300 out. 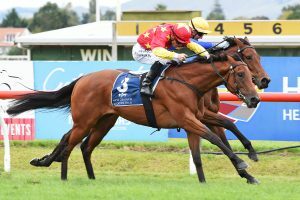 Of the other two Te Akau runners, Sword of Osman went up to challenge on the home turn but he had run his race and was eased down by Opie Bosson. Publicist never featured. In other highlights, Jamie Richards got dad Paul’s galloper Conclusion back in winning form, wonderkid Corey Campbell scored his 5th winner in four days on Ishinktaatledo and Dylan Turner’s overtime in the sweatbox had a happy ending when he won the Pegasus on Casaquinman. He still had to ride half a kilogram over.